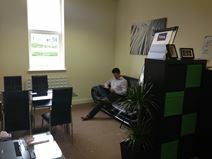 These offices are situated just of the Felling Bypass A184, just 2 miles from the city centre. The offices have recently been refurbished to a high standard, with free parking, Wi-Fi, shared modern kitchen and access control. Nearby occupiers on this business park in Gateshead include Teleperformance, Travis Perkins, Gateshead NHS, and ITV. Inside this business centre there are individual office suites to suit businesses of a range of sizes, communal meeting rooms and informal meeting areas along with a large amount of parking for you and your visitors. Newcastle City Centre can be reached easily, and local buses stop nearby. This modern space offers meeting and training rooms, conference facilities and an abundance of on-site parking. With additional bike racks and plenty of break away areas, this space has plenty of amenities to suit your needs. Feeling hungry? Take advantage of the on site cafeteria which will keep you fuelled throughout the day. Located along the River Tyne, just minutes from the huge Metrocentre shopping complex and close to local public transport stations, you'll find this workspace in a prime location however you choose to commute. With an abundance of supermarkets, restaurants and cafes surrounding the area, you'll find yourself with plenty to do in your out of office hours. Located within a few miles of Newcastle city centre, this modern business centre has been fully restored and organised in self contained office suites of various size, elegantly furnished and excellently designed. These offices are surrounded by a variety of amenities and are located along a prominent road and easily accessible. Intercity travel is available with services from Newcastle Central Railway Station, and Newcastle Airport provides domestic and international flights. 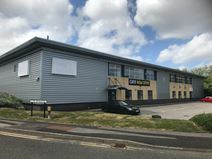 Fully furnished and ultra modern, this high specification office building with three floors of office space in varying sizes and configurations is located at the north entrance to the Team Valley Business Park and available on flexible license agreements. Services include onsite car parking, meeting room access and Sky TV. Excellent transport links serving the area with the city of Durham just a 15 minute drive via the A1 with Sunderland also easily accessible. Business centre located in the heart of Gateshead, Tyne & Wear, adjacent to the A24 (Morden Road). The centre offers flexible accommodation of workshop, light or heavy industrial units on a short/medium term lease, an abundance of car parking and out of hours security. Heworth Train Station is less than a mile away and local amenities including a variety of shops and leisure facilities are within close proximity of the centre, also within easy reach of the A1M. 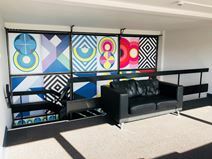 Formerly Metro Radio Station, this refurbished 1950’s building now offers flexible serviced office accommodation spread over 3 floors, each with its own kitchen and washroom facilities. The floors are individually secured with swipe card access, all have a modern conference room with refreshments, TV, internet and telephone facility. The reception area provides a stunning 1st impression of the building, fully furnished and with staff. Situated just off the A1 in a quiet, relaxed area in Swalwell by the Metro Centre. The site boasts a large private car park and good transport access. A 10 minute drive into the City Centres of both Gateshead and Newcastle. Newcastle Airport is in close proximity with cafés, supermarkets and shops nearby. Based in Gateshead, this centre provides a range of office, conference and workshop facilities. There are offices are varying sizes on offer, that will appeal to start-ups right up to large scale established businesses. Tenancies include water rates, rent, buildings insurance and service charges, and require a minimum commitment of six months. With a full body of administrative support on offer, postal, photocopying/scanning and telephone requirements can be taken care of by friendly, helpful staff. In addition to this, the centre is also conveniently located within a rapidly developing area of Gateshead, offering easy access to major road networks (A1 and A19) and great public transport links into Newcastle city centre and beyond. Office Space is located in a high rise office block. Situated at the edge of Gateshead town centre with it's wide range of amenities and excellent excellent transport links, we are also just a short walk from Newcastle. The building features excellent views from the higher floors of the surrounding area. The centre has recently been refurbished and offers spacious, modern rooms that allow for businesses to customise and define their own office space. Friendly and helpful staff are there to help for administrative support and will aim to make running a business as stress free as possible. Parking is available although the centre can easily be accessed via the Metro transport system. Training and meeting rooms are also very accessible and can be booked on an hourly rate, there is also the option for Virtual Offices meaning postal facilities and meeting rooms can be booked on a temporary basis. Accessible 24-hours a day, this centre offers easy travel into the bustling city of Newcastle. Within walking distance, there are places to eat and drink, and in the centre of Newcastle there are more placers still, including well-known chains and independent eateries. The main railway station offers services across the country including to London Kings Cross, and the Tyne and Wear Metro system allows for rapid transit around the region.